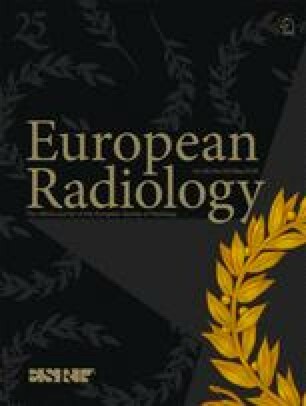 To assess the impact of sarcopenia and alterations in body composition parameters (BCPs) on survival after surgery for oesophageal and gastro-oesophageal junction cancer (OC). 200 consecutive patients who underwent resection for OC between 2006 and 2013 were selected. Preoperative CTs were used to assess markers of sarcopenia and body composition (total muscle area [TMA], fat-free mass index [FFMi], fat mass index [FMi], subcutaneous, visceral and retrorenal fat [RRF], muscle attenuation). Cox regression was used to assess the primary outcome parameter of overall survival (OS) after surgery. 130 patients (65 %) had sarcopenia based on preoperative CT examinations. Sarcopenic patients showed impaired survival compared to non-sarcopenic individuals (hazard ratio [HR] 1.87, 95 % confidence interval [CI] 1.15–3.03, p = 0.011). Furthermore, low skeletal muscle attenuation (HR 1.91, 95 % CI 1.12–3.28, p = 0.019) and increased FMi (HR 3.47, 95 % CI 1.27–9.50, p = 0.016) were associated with impaired outcome. In the multivariate analysis, including a composite score (CSS) of those three parameters and clinical variables, only CSS, T-stage and surgical resection margin remained significant predictors of OS. Patients who show signs of sarcopenia and alterations in BCPs on preoperative CT images have impaired long-term outcome after surgery for OC. • Sarcopenia is associated with impaired OS after surgery for oesophageal cancer. • Other body composition parameters are also associated with impaired survival. • This influence on survival is independent of established clinical parameters. • Sarcopenia provides a better estimation of cachexia than BMI. • Sarcopenia assessment could be considered in risk/benefit stratification before oesophagectomy. The online version of this article (doi: 10.1007/s00330-015-3963-1) contains supplementary material, which is available to authorized users. This paper was presented as an oral presentation at RSNA 2014. The scientific guarantor of this publication is Ahmed Ba-Ssalamah. The authors of this manuscript declare no relationships with any companies whose products or services may be related to the subject matter of the article. The authors state that this work has not received any funding. One of the authors has significant statistical expertise (Pascal A. Baltzer). Institutional Review Board approval was obtained. Written informed consent was waived by the Institutional Review Board. No study subjects or cohorts have been previously reported. Methodology: retrospective, observational, performed at one institution.